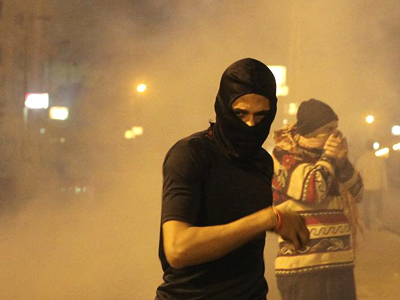 Egypt's Interior Ministry has ordered shipments of 140,000 teargas canisters from US in January. The total cost of the shipment amounts to nearly US$2.5 million, despite the country's collapsing economy and calls for a 'freer' state. 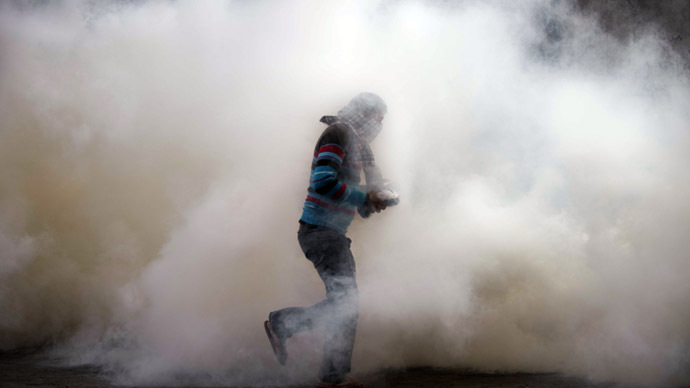 The order was made to cover Egypt's shortage of teargas after months of aggressive clashes between police and protesters, Egypt Independent reports quoting letters between Interior Ministry and Defense Ministry officials. “In light of the ongoing incidents and growing need for gas bombs to deal with rioters and preserve the nation’s safety, Al-Guindy Company for Imports and Exports, a representative of the US Combined System Company in Egypt, has been contracted to import 70,000 gas bombs and 70,000 long-range gas projectiles from the US to Egypt,” a letter stated as cited by the paper. After the supplier failed to deliver the shipment by sea, Egypt stressed the urgency of the order and asked if the delivery could be performed by means of a military jet, a January 30 letter from Major General Osama Ismail of the Interior Ministry reportedly says. “Due to the company’s failure in importing the shipment, citing the difficult procedures governing importing from abroad, and the Interior Ministry's urgent need [for teargas], we thought we would write to you to take the necessary steps to approve transferring the shipment on board of a military jet from the US to Egypt. 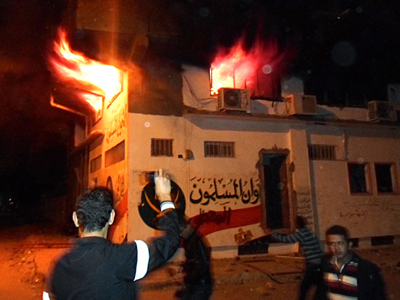 Al-Guindy Company is willing to pay for the shipping costs,” Ismail writes in his letter to the Defense Ministry head. The US, however, proceeded with the sea delivery, giving a permit to items on which the company's name and country of origin has been removed, according to memorandum on January 28 by Major General Magdy al-Gohary, head of the Department for Police Supply. 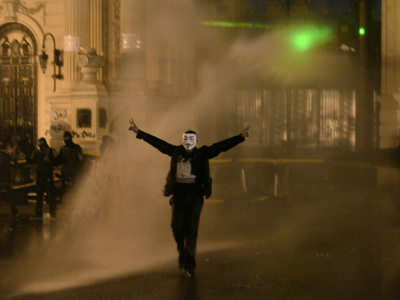 The 57,000 ton teargas shipments are expected to reach Egypt in April. 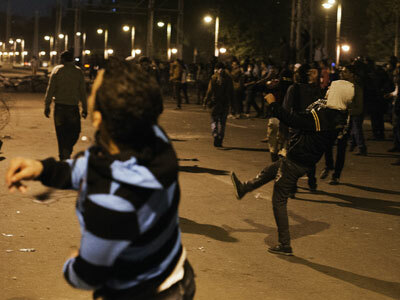 Teargas is a much-used police tool during frequent protests in Cairo, the latest taking place through February. 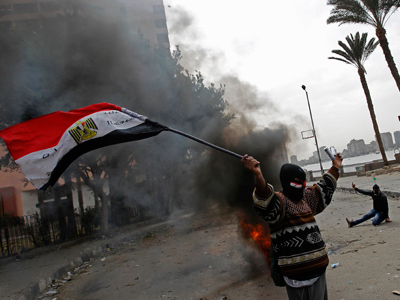 Egypt's opposition says the order a deja vu from the times of the ousted Hosni Mubarak. "It's the same tactics the Mubarak regime used – spending taxpayers' money to kill the sons of taxpayers," said Hussein Abdel Ghany, a spokesman for the National Salvation Front told The Guardian. 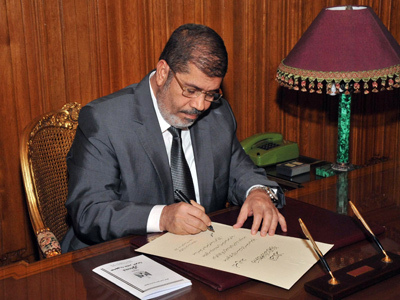 Two years after a popular uprising took down Hosni Mubarak, many believe President Mohamed Morsi has betrayed the democratic ideas of the Egyptian revolution. “People don’t really need any opposition calls for protest because the whole country is in a standstill. There’s nothing moving forward because there’s no real administration addressing the people’s needs and demands and anger in the streets,” Opposition spokesman Ahmed Hawary told RT. 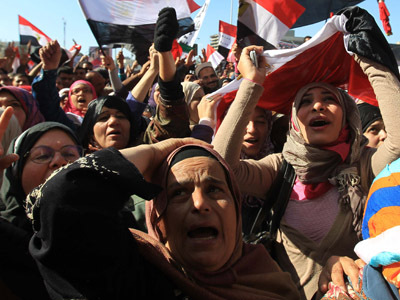 Protests in Cairo's Tahrir Square have not calmed down since last November when a controversial decree was issued granting Morsi nearly unchecked powers. The multi-million teargas order is largely seen by the critics as a sign Morsi will keep police up and standing against further street protests. Another grave concern is the economy. The Egyptian government is negotiating an IMF loan of $4.8 billion while its foreign reserves are exhausted and investments into the country have nearly dried out due to the unstable political and social situation.